Earlier this month, several iPhone users reported that their devices had been killed by a mysterious “Error 53.” Apple has now confirmed that Error 53 is actually a factory test for Touch ID on the Home button, and the company is issuing a fix for iPhones that were victims of the mysterious bug. On Thursday, Apple released an updated version of iOS 9.2.1 to restore newer iPhones that were disabled by Error 53. This iOS update will also prevent future iPhones from experiencing Error 53 if they have their Home buttons repaired by a third-party repair shop. This update can only be installed by connecting the iPhone to iTunes on a Mac or PC, not over the air. 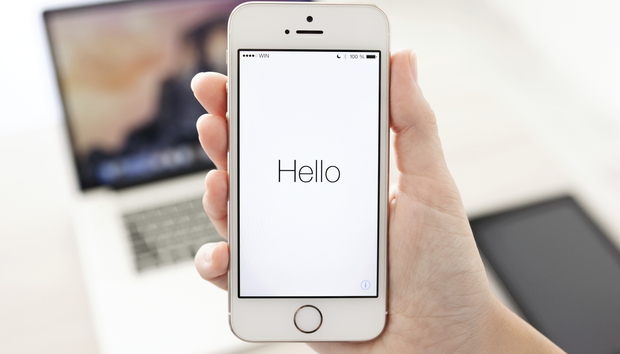 Originally, Apple asked iOS users who had experienced Error 53 to contact Apple Support. Today, there is also a brand-new support page dedicated to helping users repair their iPhones that were affected by Error 53. “We apologize for any inconvenience, [Error 53] was designed to be a factory test and was not intended to affect customers. Customers who paid for an out-of-warranty replacement of their device based on this issue should contact AppleCare about a reimbursement,” read the Apple statement. Even though this iOS update will have your iPhone working properly again, it will not restore Touch ID capabilities. The only way to restore Touch ID is to get the Home button repaired or replaced by Apple, as to prevent third-party repair shops from potentially accessing your fingerprint data. The story behind the story: When Error 53 first surfaced, many speculated that Apple had designed it to force users to go to Apple for repairs, instead of to a cheaper third-party repair shop. This anti-competitive reasoning behind Error 53 even led a law firm to start preparing a class-action lawsuit accusing the iPhone maker of intentionally disabling its own devices.